Earlier this month, Sephora Singapore sent me a box of IT Cosmetics products! IT stands for Innovative Technology & I have to say that before this I did not know about this brand. I did a little research & the more I did, the more interested I was in their brand philosophy. 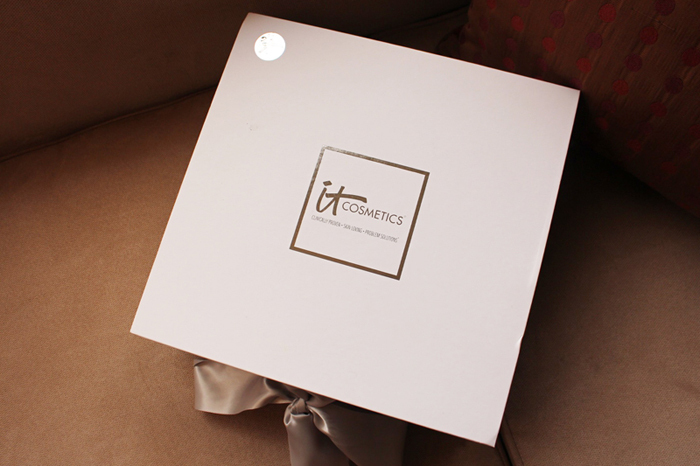 IT Cosmetics was developed in 2008 by CEO Jamie Lima, who was a TV news anchor suffering from rosacea & pigmentation. If you do not know about rosacea you can do a quick Google search, I know of people who suffer from it & it can range from mild to very severe, so it's a very real skin problem that affects many girls. In severe cases it can even spread to the eyes (ocular rosacea)! What this means is that IT Cosmetics is designed for sensitive skin, with a dermalogical background & avoiding chemical-laden products that can further harm your skin. And it's cruelty-free! I don't really get acne but I have very dry skin. If I let it get too dry, it stings when I sweat or even just smile. Most brands (ranging from drugstore to high-end) tend to sting my skin because of all the chemicals in them - to whiten, reverse aging, revitalise & what not. I couldn't use most brands & eventually turned to very mild, dermalogical brands such as Bioderma & Cetaphil. And yes this is in Singapore. When I go overseas... wow. I sometimes develop a bit of redness on my face, usually at the cheek area or sometimes at the corner of my eyes & I try to avoid makeup for a few days till it clears. Basically from what I can tell, my skin generally behaves well but is a bit sensitive & this is why I keep my skincare regime very, very simple - makeup remover, moisturiser & sunblock. 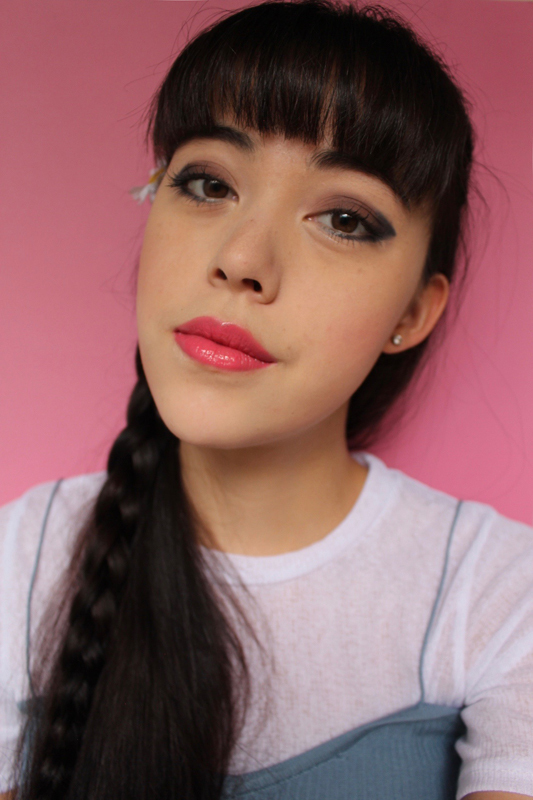 Sephora sent me a whole range of products to create a full-face of makeup! I'll be testing out ALL of them. You can scroll to the end for a summarised review! These products are sponsored, but I do not want to say that I love everything or you should buy everything, everything is amazing... etc, etc. I honestly don't even think it's possible for a makeup brand to be good in every single makeup product right? LOL. For starters though, the packaging is really simple & minimalistic! "You Are Beautiful. You Are It!" 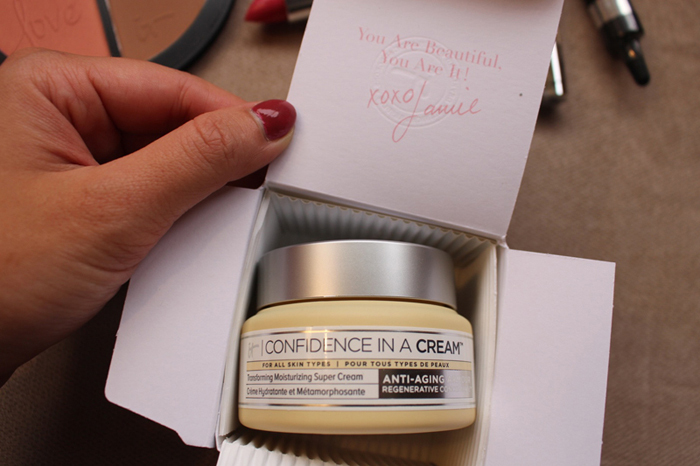 Featured above is their Confidence In A Cream, a night + day moisturiser with anti-aging properties! As I've mentioned, moisturiser is a BIG DEAL to me & I'm constantly on the lookout for good moisturisers! This moisturiser is extremely rich & creamy! It smells a little like lemongrass, which is pretty relaxing. I find this moisturiser only suitable for night use. This is especially because of Singapore's climate as it's not as dry as other countries. I used this moisturiser over a week & I noticed that even after 2 hours it hadn't fully been absorbed into my skin yet, which makes this unsuitable to wear below makeup during the day (unless you don't wear any & just need to repair your skin). My recommendation would be to use this maybe only 2-3 times a week or to make sure you alternate this with another, lighter moisturiser. This is something I personally do as well, because if you keep buttering your skin with thick moisturisers I think you'll break out! So all in all, definitely a moisturiser I would add into my rotation of moisturisers, but not on a daily basis & not for daytime use below makeup. Really quite like the smell though! Moving on to the face products! On the left is the concealer (a more pinkish tone) & on the right is the CC cream. As you can see, both are thick & creamy. After both the concealer + CC cream on the RIGHT side of my face. As you can see, my general tone is greatly evened out & small pigmentation marks covered. They both provide GREAT coverage & this would be the biggest plus point. I would say however that it's a little on the thick side. It didn't feel suffocating (kept it on for a few hours to test), but if you didn't need coverage to begin with then stick to just the concealer, which did a great job with my dark eye circles! 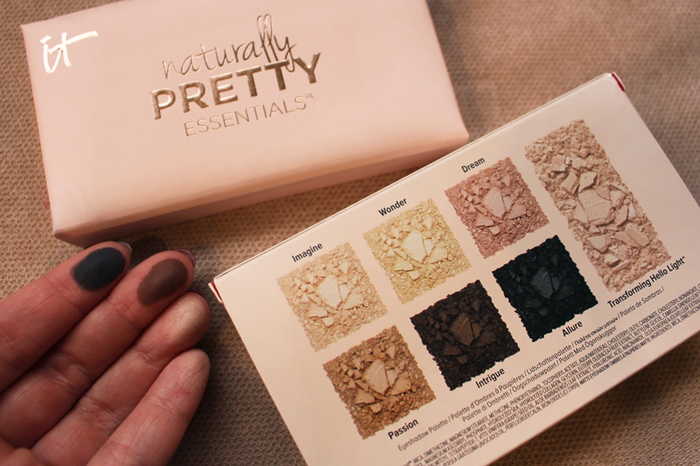 The Naturally Pretty Essentials Eyeshadows & hahaha I love the palette name! 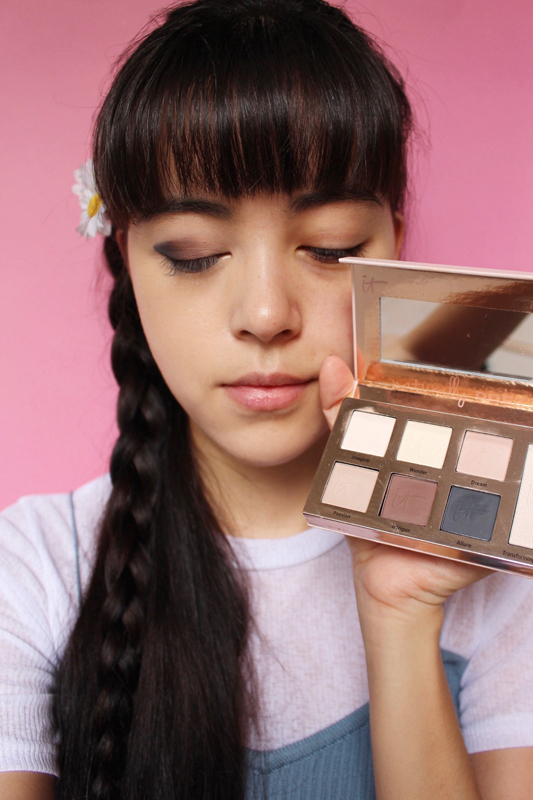 This features a range of very basic matte eyeshadows & one slightly shimmering highlighter. I decided to blend 3 eyeshadows together, namely going from light to dark. 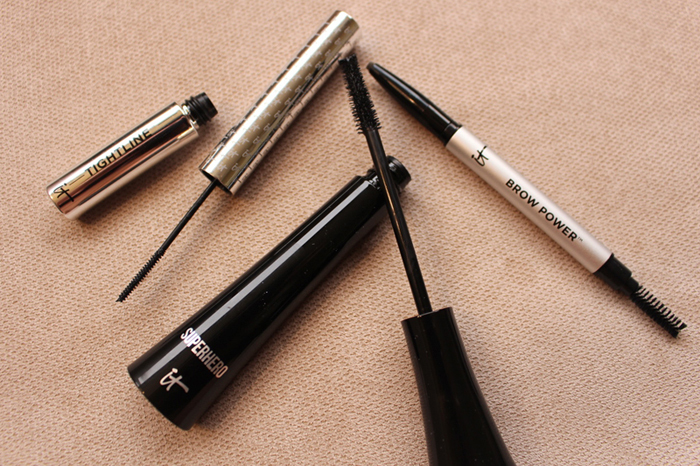 I find that putting dark on the outer corner helps to elongate my eyes & create that cat-eye effect. 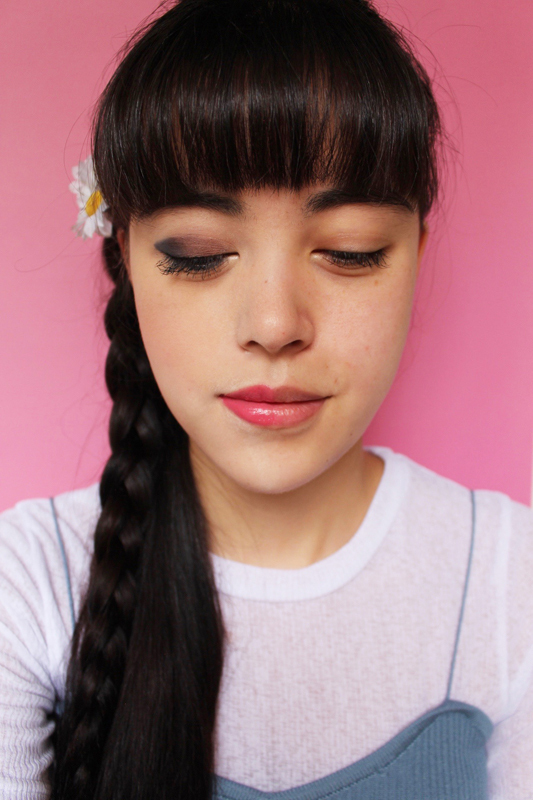 I also used the dark blue eyeshadow to line my lower waterline, rather than an eyeliner. 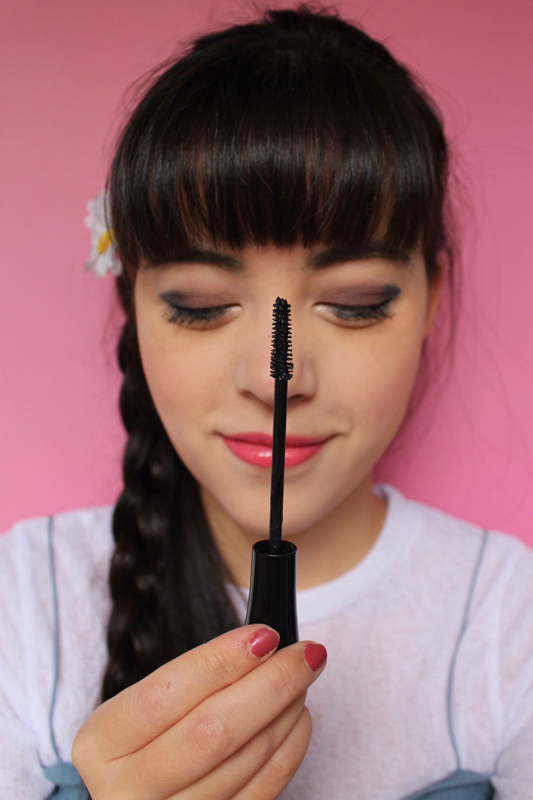 As I have eyelash extensions the effect of the mascara is less obvious on my upper lashes, but look at the bottom! There is a rather noticeable difference in volume & length compared to my other eye! Oh yes I didn't use the Brow Power eyebrow pencil at all LOL. I apologise but my eyebrows are too thick & are covered by my bangs anyway. As for the Tightline 3-in-1... I don't quite get it. I'm someone that has never really cared about primers (which helps your makeup stay on better) & as an eyeliner I prefer a conventional design. 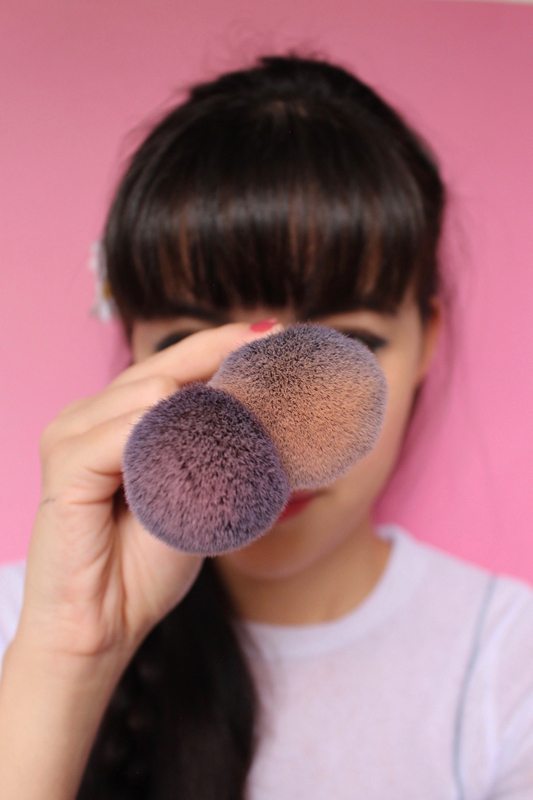 I used the cushion that came with this rather than the powder brush! 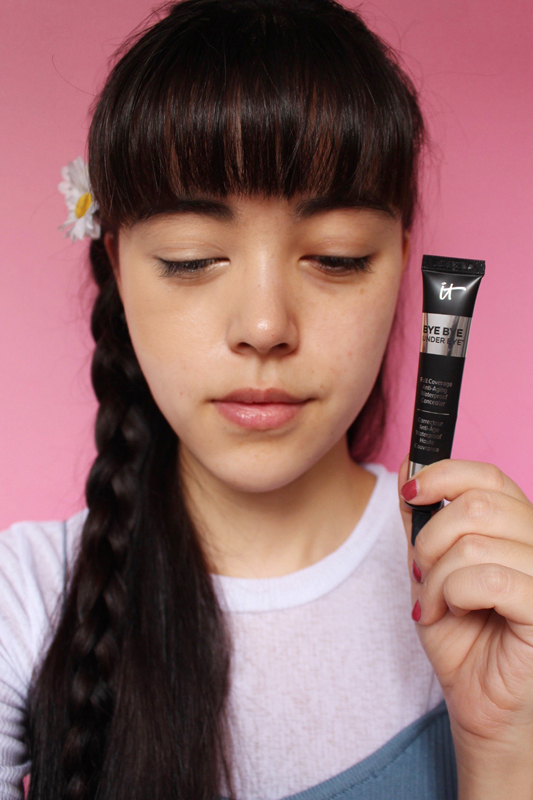 It applied fairly well though it needed a bit of blending as the resulting matte-fiying effect is quite obvious (I mean look at how white & smooth my right cheek looks) so you need to ensure this is applied properly all over! Again I feel the focus of this product is more on coverage. 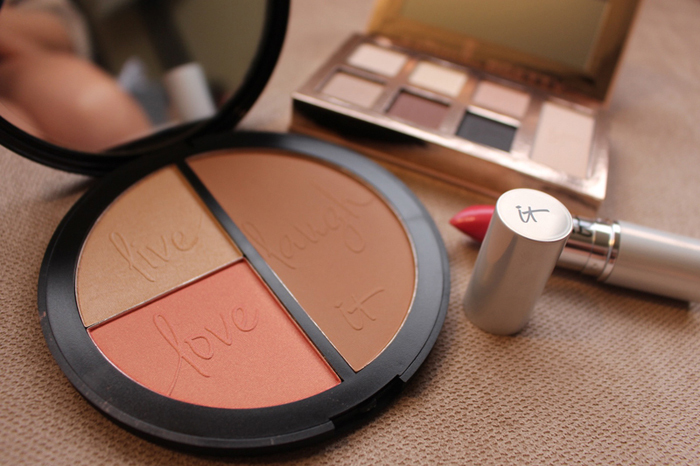 Next up would be the Your Most Beautiful You Bronzer, Luminizer & Blush. 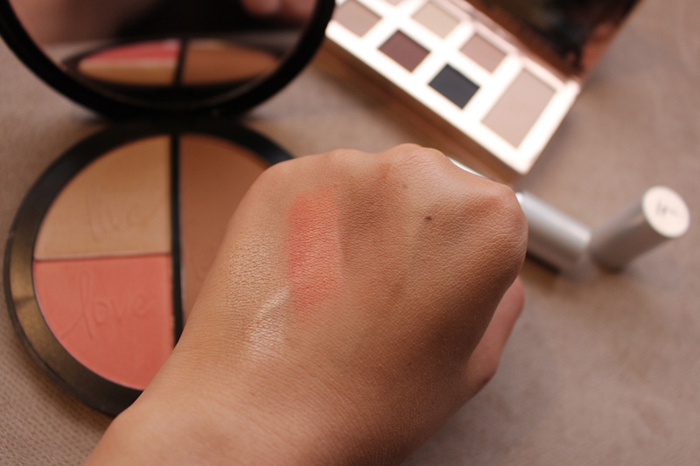 The blush is a really pretty coral shade that applies easily with only one or two swipes! Actually all 3 were fairly pigmented & applied easily on the back of my hand. I was also pleasantly surprised that the highlighter (luminizer) showed up clearly, even on camera! So for you girls that like to shine bright like a diamond, check it out LOL. 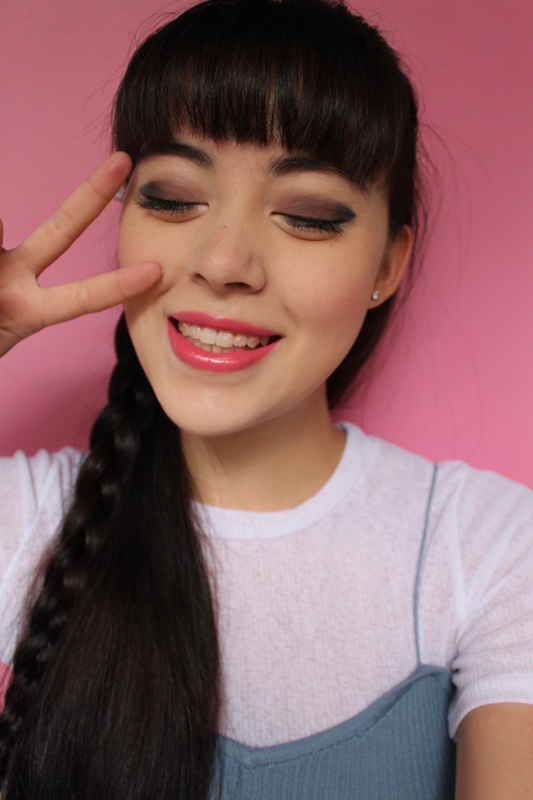 Here is the final half-face makeup look! 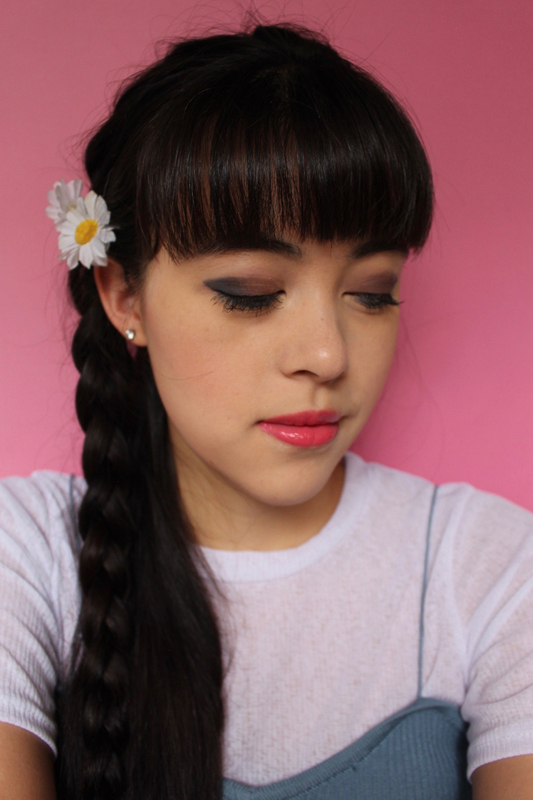 I went for a pretty made-up look so you can go for something more subdued if you prefer! The brushes! 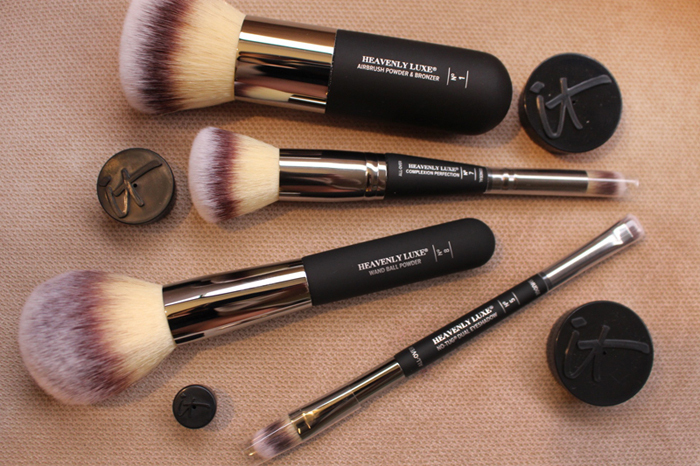 I honestly don't have much experience with brushes so I can't give an accurate review of these. The bristles felt soft & gentle & I thought the packaging was great! Yep. Naturally Pretty that's me LOL. Oh yes & not forgetting the Blurred Lines Lipstick! 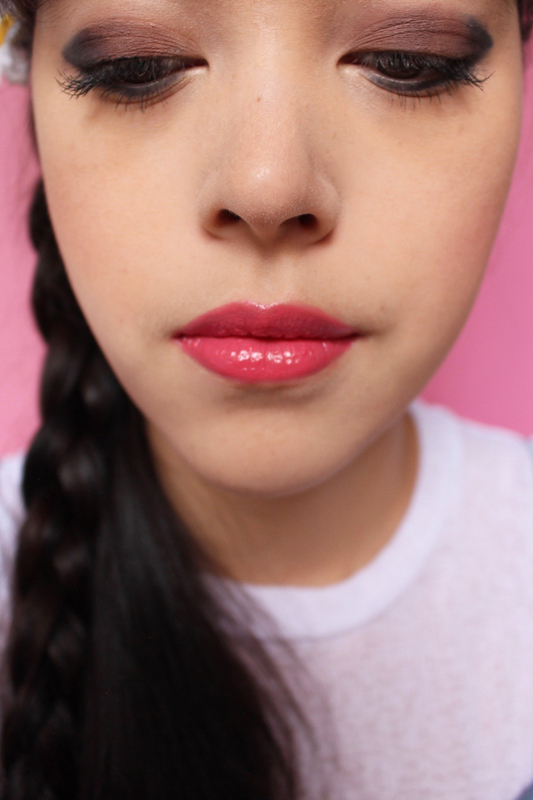 This is an anti-aging, collagen-based lipstick! It's no wonder the application felt really smooth. This lipstick is more on the watery, glossy side but the pigmentation was surprisingly good (considering how it felt more on the "wet" side). As you can see above, it came out a really bright, rich hot pink! Sephora Singapore reposted my picture to their Instagram & a user commented that "someone needs to blend that eyeshadow" LOL. Maybe I really didn't blend it well but anyway I find that it looks ok when I open my eyes; maybe because my eyes are a little more deep-set so the dark eyeshadow is less obvious on me! Basically do whatever suits you ok! For example if you have single eyelids, putting heavy dark eyeshadows may be quite unsuitable for you. Whereas for me if I don't go thicker with eyeshadow, it's generally not very visible when I open my eyes. SKIN IS PICTURES ARE ALL COMPLETELY UNEDITED. I mean of course as this is a review on skincare/beauty products, I shouldn't be editing my skin in the first place. 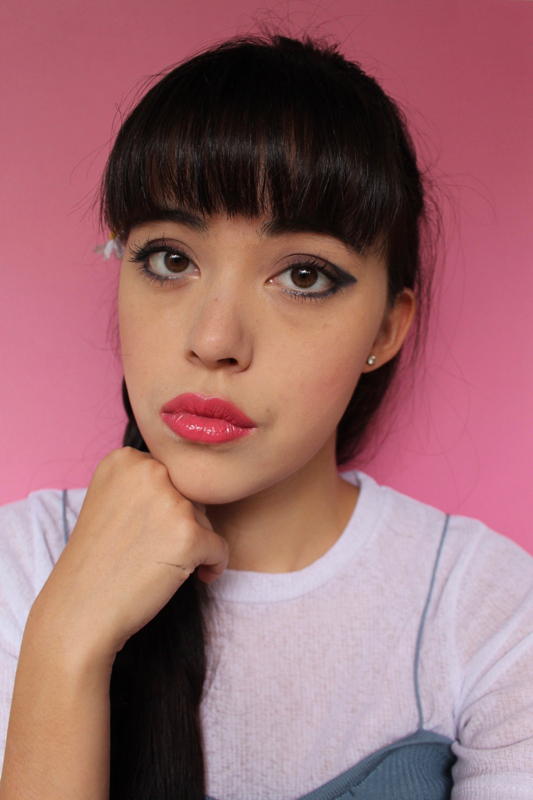 It would be pretty deceitful if I edited away dark-eye circles when reviewing a concealer right? I FELT NO NEED FOR IT AT ALL! When I looked at the pictures I was like, WOW. Normally I'm quite self-conscious & even if I don't edit my skin (for reasons just mentioned), I'd be thinking like... damn now everyone will see my dark eye circles & blemishes... etc. But I'm actually pretty amazed at how my skin looks? I mean sure, a little shadow under the eyes & around the mouth area. But overall, still pretty impressed! I mean you can scroll back up to my close-ups. I can even see small facial hairs. But my skin? Thumbs up. It looks smooth without having that over-edited (like after an over-zealous iPhone makeup app session) look to it. It looks good, but natural, with a few small freckles & shadows. IT Cosmetics is clearly a great makeup brand that addresses actual skin concerns, providing coverage without further aggravating it. 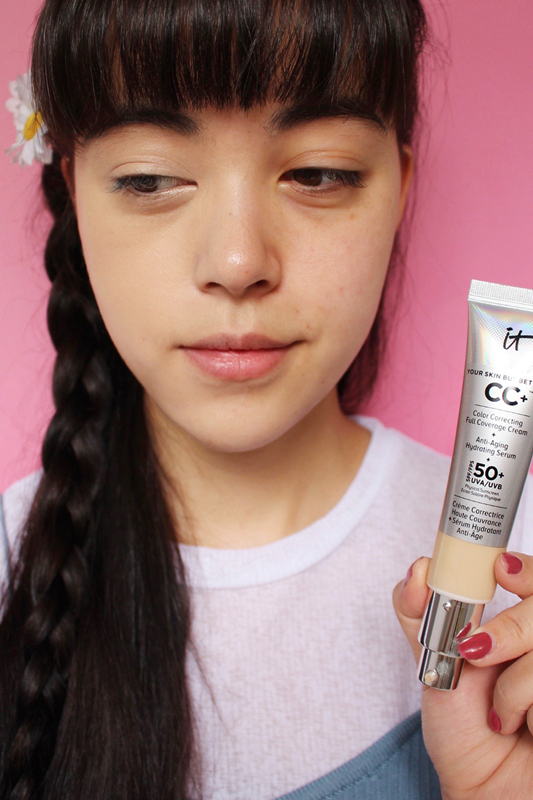 If you're someone with problem, sensitive skin & especially if you need coverage for blemishes & marks while you resolve your skin issues, then I think IT Cosmetics is a brand you can look into! Just go to a Sephora outlet, test it out, see how you feel! I felt these 3 products made the biggest impact & are more unique as they are suitable for people with problem skin. When it comes to eyeshadows, blush, lipsticks & so on... there are a zillion competing mass-market brands out there that can devote an entire makeup counter to a 100 different shades LOL. Personally I don't feel I need extensive coverage for my skin. As much as I love the super-good-in-pictures-skin I just raved about above, I still don't like the idea of a full face of makeup. 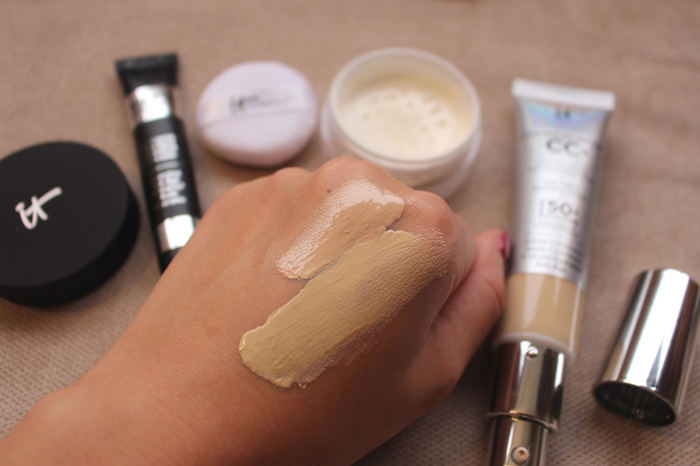 If you're like me, I think we can skip the CC Cream & just stick to concealer for problem areas! But again, if you have problem skin & need/want to wear makeup still, skip the "in" brands. Find what works for you & your skin! 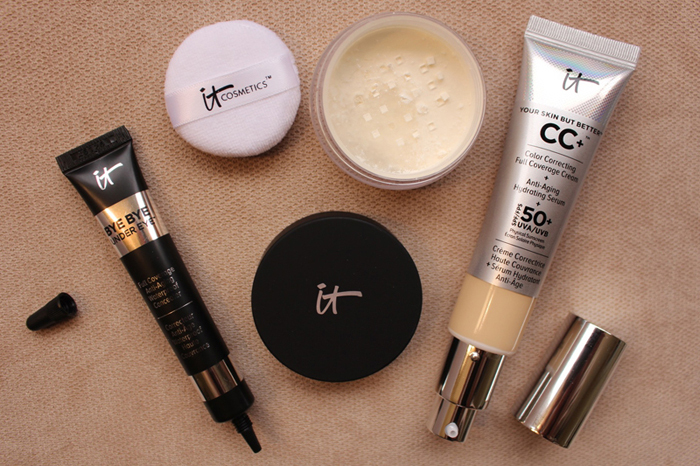 IT Cosmetics for one, provides really good coverage while having a dermalogical focus in its products & brand philosophy. 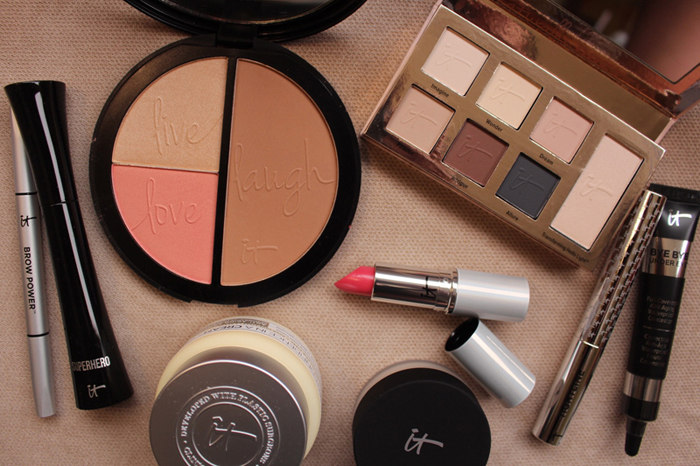 Find IT Cosmetics online on www.sephora.sg or in Sephora stores! 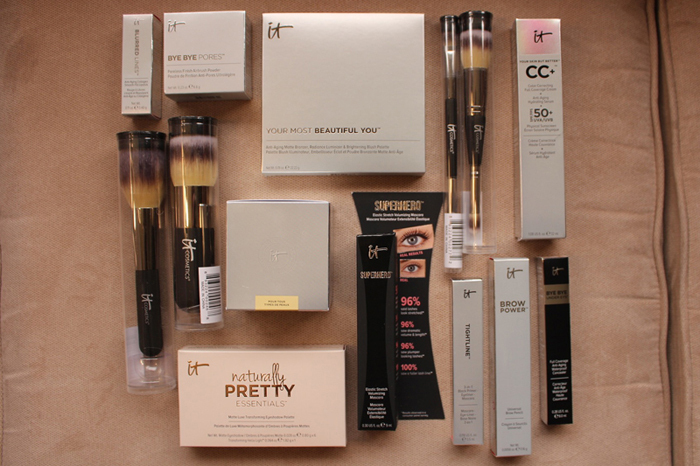 1 comment on "IT Cosmetics - for beautiful skin"
You look gorgeous! 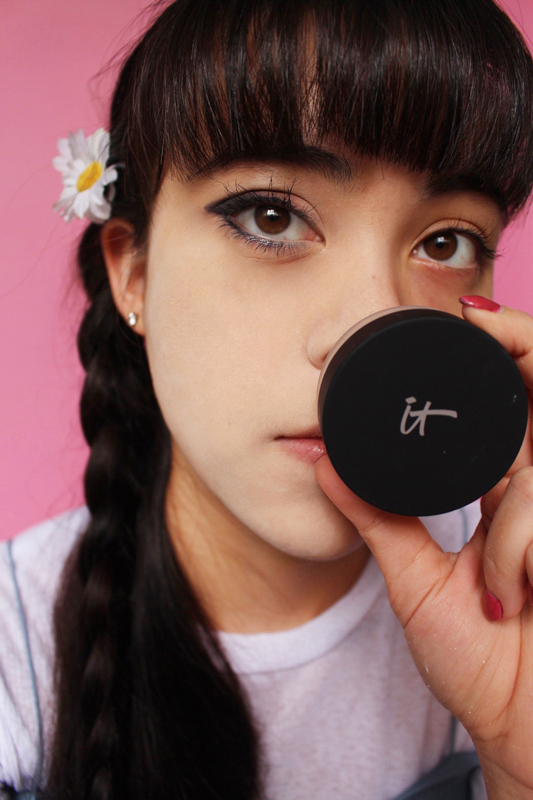 I love their CC Cream and Bye Bye Pores Powder from B-Glowing! I will definitely be keeping my eye out for their eyeshadow palette and lipstick though!